We’ve all got something on our desks we like to fiddle with when work gets boring, be it a traditional Newton’s Cradle, or just the good ol’ internet. 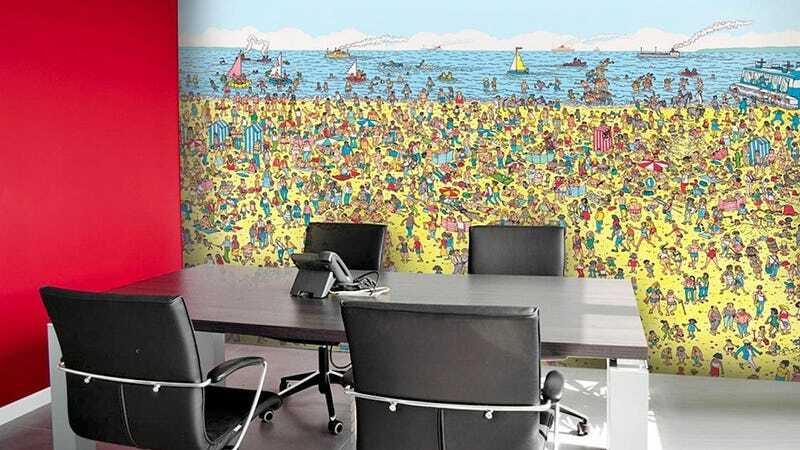 But neither can compare to the wonderful waste of time that is a giant Where’s Waldo scene filling an entire wall of your office. Even after you find Waldo, or Wally, if you’re in the UK, there’s still hundreds of things to discover on this sprawling beach scene illustrated by Martin Handford. Remember how in grade school you’d spend hours pouring through those books when you were supposed to be actually reading? You can now do the same thing as an adult when you’re supposed to be answering emails.